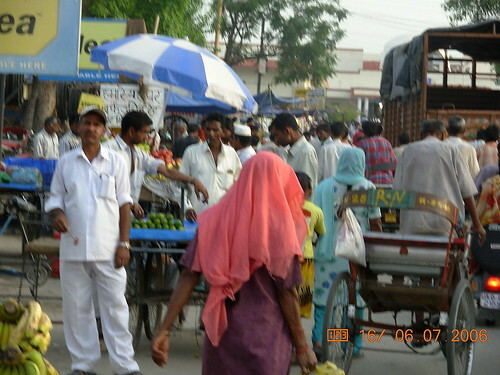 A market scene near the railway station from Roorkee, India. A vendor with a shade to deal with Indian summer, older rickshaw wallahs toiling away, a person enjoying his food, and everyone else. Everything merges in - the entire multitude.